Celia Panduro Huayta is a traditional Maestra Curandera & Perfumera from the Shipibo-Conibo tribe. The Shipibo tribe is thought to be one of the largest and the oldest indigenous groups of the Amazon, nowadays especially centralized around the jungle city of Pucallpa. As a result, the Shipibo culture produces more traditional healers than any other tribe in the Amazon. Celia, like many in the shipibo tradition, comes from a long line of healers, and was raised from childhood learning the medicines, singing icaros, taking plants to heal both common and very rare symptoms, as well as drinking ayahuasca and other plants to receive visions and insights into her future. 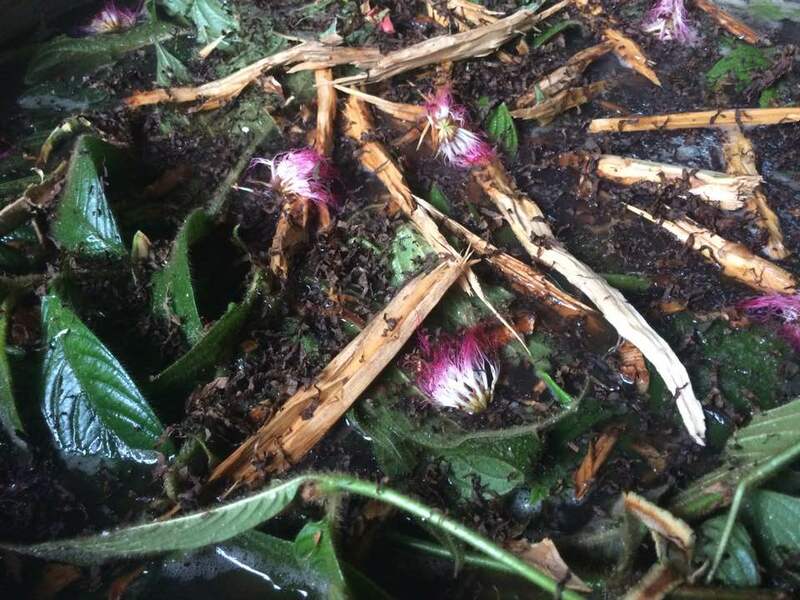 Nowadays Celia facilitates Ayahuasca Ceremonies, as well as healing programs & traditional shamanic dieta initiations for for both locals and foreigners, to allow them to all to heal & learn with the Amazonian plants. With or without the influence of finances, Celia is a healer, and has made a commitment to this path for life, with the goal of bringing a better quality of life to all. She also administers healing remedies, plant baths, and vends her handiworks, which she creates as an act of meditation in her downtime. All of her creations are a paying of homage to the sacred union between the plants and the healing traditions of her beloved ancestors. Her persona is sweet and joyous, and in ceremony she presents herself with power and conviction, holding a safe, healing and loving space for all who enter. Brown is an expressive musician, eloquent writer, a husband & father, a happy plantsman, and an earth medicine healer. At 38 yrs old, Browne humbly and courageously walks the path of his spirit. With each day it unfolds leading to new insights and offerings for the world. He has worked with plant medicines both casually and intensively over the course of 22 years, and has practiced the art of drumming to induce trance for 20 yrs. What he later identified as the ancient art of shamanic drumming, has aided him in reaching altered states of consciousness, helping him to communicate with other realms, facilitate energetic clearings, and gather information from the ether, to bring back to “ordinary” reality, in effort to enhance his own life and offer support to those around him. As a self-taught musician, he has been practicing his craft for 2 decades, and has recorded and performed in several musical projects, successfully playing approximately a dozen instruments throughout his musical path. From early life visions of his future self, to adolescent out-of-body experiences, to becoming a deep listener of ambient sounds, Brown has trained his ear and transmitting/receiving mechanisms to reveal and refine the gift of deep listening, allowing him to hear music and melodies in the ether and environment around him, receiving songs for the purpose of enjoyment, healing, connecting with the earth and communicating with other entities and realms. He first experienced this type of open channel in his mid 20’s, several years after his first experiences with Ayahuasca. 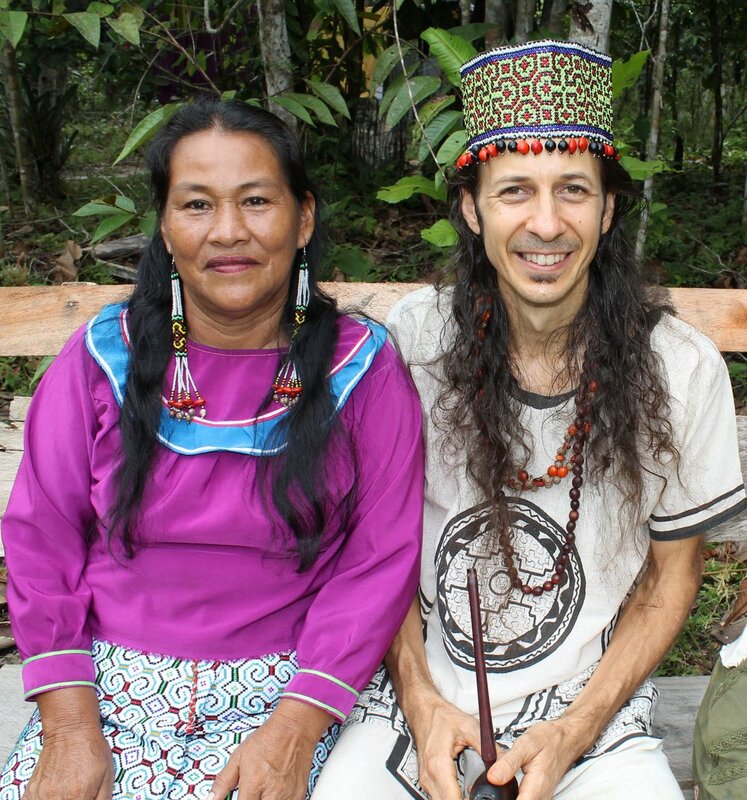 Through his continued and committed work with Ayahuasca since 2013, he has been working to shed his old programming, which is allowing more doors to open all the time, both in his abilities to channel healing energies into ceremony, and in his relationships. Brown integrates the teachings from spirit, Ayahuasca, Huachuma, and other plant medicines into his daily life, holding them all as sacred offerings from the divine. Being alternatively taught, primarily by the the natural world, the spirits, Ayahuasca, and what he calls his higher self, Brown has learned to embrace divine flow and timing. He has learned to release time & form oriented expectations when aligning to intentions, and to surrender to the synchronicities which flow back in response, understanding that right energies, people, opportunities and insights are drawn into our life experiences at exactly the right time they are needed, and if they are not here now, then they are not supposed to be. Brown has a passion for jungle life, and finds great joy in working with the plants, developing gardens, learning about and identifying the native plant medicines, gathering seeds and baby plantlings from the forest, as he focuses on restoring plant diversity at the Avatar Centre. He’s been a driving force behind planting both food and medicine gardens, with the goal of developing food & medicine independence on the land for the future. His background in community gardening is lending itself well to helping the centre develop an earth service model, where everyone is encouraged to have some hand in caretaking the gardens, as well as harvesting and sharing in their fruits. He feels it as a significant part of his purpose, to support others on their spiritual journeys, helping them to reveal their highest truth and purpose in each moment. With Ayahuasca as his ally, he furthers the pursuit of this mission to help bring man-kind back to a place of harmony with nature. Pamela Lyness is a lightworker, working as a medical intuitive, creative channeler, and shamanic healer. 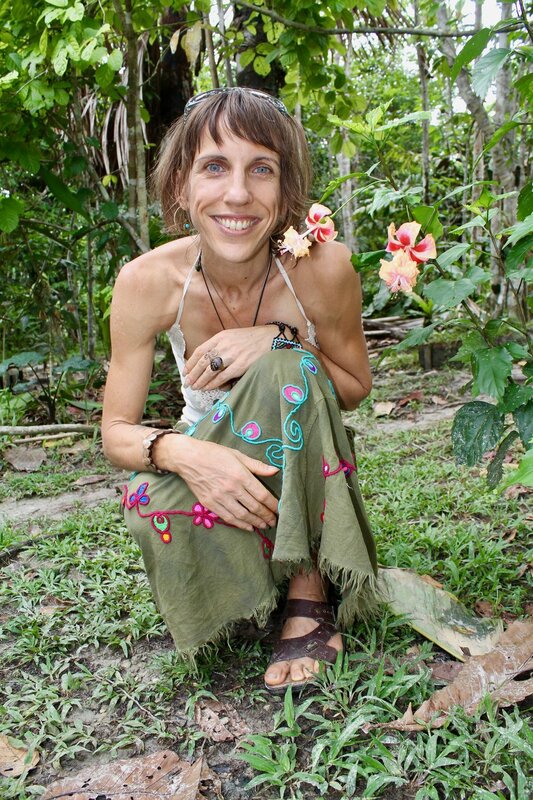 Through her intensive trainings with Ayahuasca, Amazonian plant dietas and Huachuma over the past 7 years, Pamela has been able to channel light code frequencies, now understood as "transcendent codes." These unique high vibrational tools, arrive in the form of healing songs, energetically attuned sound frequencies, and often can also be called upon silently, through a form of deep concentration. Pamela began channeling the ever powerful transcendent codes after 5 years of disciplined practice, channeling and developing the various movements & asanas, which now make up the original yogic series called "Ayahuasca Yoga." In Ayahuasca Yoga, which could be even better described as Sacred Geometric Codes, the activation of these intelligent tools is initiated through the full engagement of body, mind & spirit, through an energetic process instructed to Pamela by the spirit of Ayahuasca. Over the past 20 years, Pamela has also trained & practiced with great discipline in various esoteric healing modalities, as well as the movement arts, enabling her to offer a wide variety of tools and teachings to her clients. Now, perhaps her most recent development has brought her into the position of guardian for these transcendent codes, in order to assist humanity in living the truth of their soul essence. Private Sessions with Pamela include channeling of the Star Nations, referred to as "The Ancient Ones." Diagnosis of illnesses or energy blocks and their causes; ancestral and past life patterns to cleanse and create vibrational attunement. These codes have the potential to transcend vibrational patterns in the etheric field of all living beings. The use of code transitors are applied to alleviate pain, discomfort, distortions in perception and unconscious behaviors, as to open up one's essence to realize one's own soul's path. Sessions may include plant medicines as aids to the process. Long distance sessions over video chat can also be arranged. Adela Navas-Videyra is an 83 yr old Master Banco Level Curandera. Having started her remarkable journey learning and healing with the plant medicines, ayahuasca included at 11 yrs old, she is now with over 70 yrs experience in the shamanic arts. 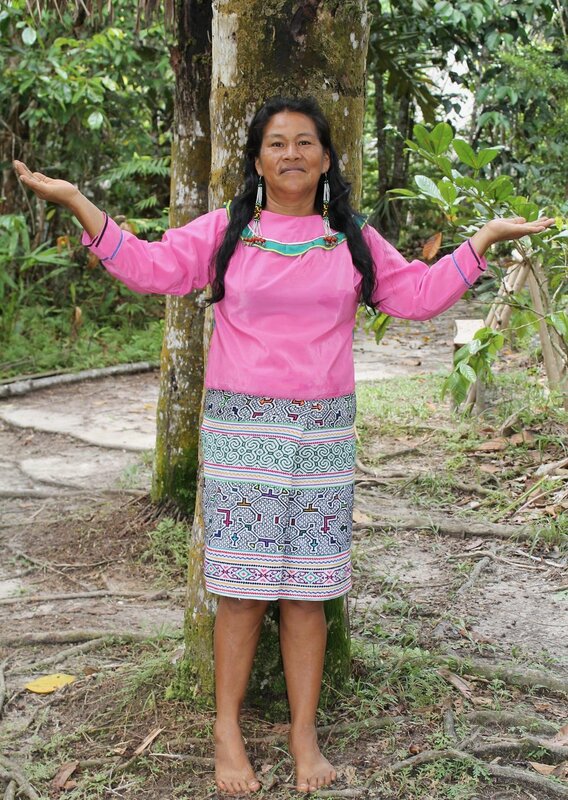 Adela has been a teacher and peer to some of the most well known and most revered shamans/curanderos in the Iquitos area, and is one of the most highly regarded and respected healers in the region. Carrying a fun and light energy with her everywhere she goes, both appearing and acting at least 20 years younger than her age, Adela truly embodies the energy of the vibrant and loving mother, but with the strength and ability in the astral realms of a great warrior and protector. Her ceremonies are strong to say the least, and her icaros both magically healing and protective. How she carries herself with the medicine, is of the highest integrity and skill, having vast experience with ayahuasca healings both local and at a distance, astral travel, psychic surgery, and more. While Adela is not able to assist with all ceremonies at The Avatar Centre, she is able to be brought in for special groups, where her services are most needed and when her schedule allows.